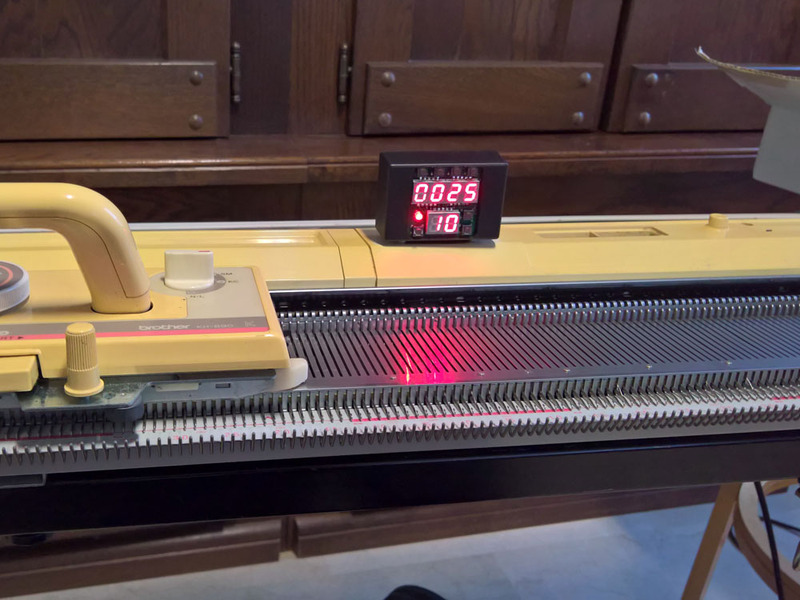 eCount, the electronic row counter for most knitting machines. 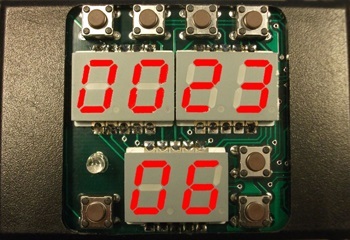 eCount has two row counters: a 4 digit upper counter and a 2 digit lower counter and a bicolor LED indicator. 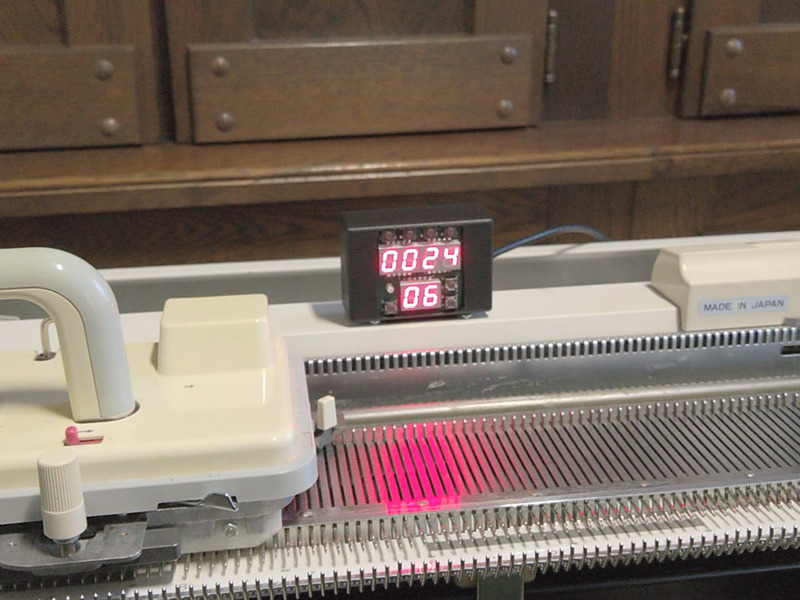 The upper counter is user configurable to count up or down. This way eCount can replace more or less any (mechanical) row counter. You can set the individual digits with the push buttons above the digits. The lower counter is a count down counter. You can use this counter for operations that need to happen every n rows. You can set the individual digits of the lower counter with the push buttons to the right of the digits. 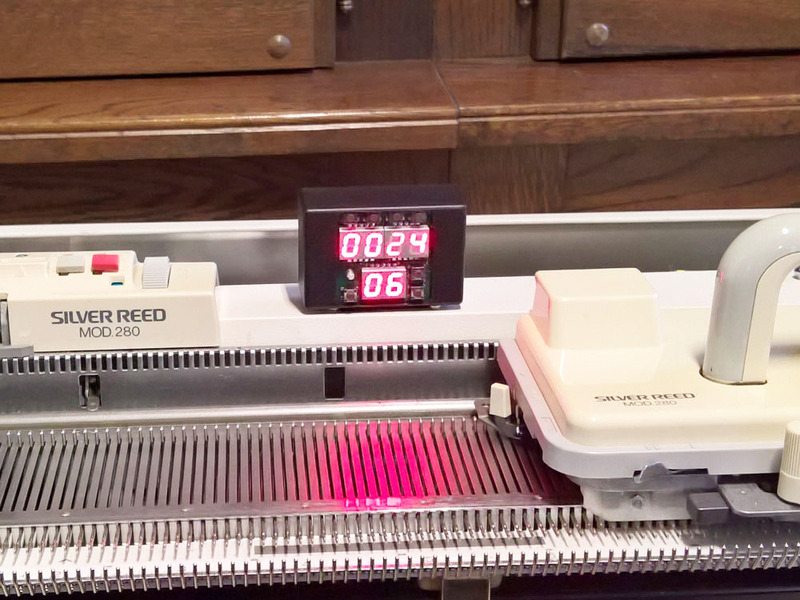 The bicolor LED lights up when a counter program is finished; either the upper counter reaches zero or the lower counter reaches zero. eCount comes with a utility on the PC. 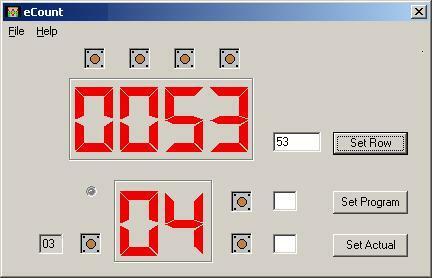 The eCount utility can set the values of the counters and updates the on screen counters when they change. eCount has an inbuilt Screen link so you can connect your knitting machine to DesignaKnit for interactive knitting. eCount can work with any knitting machine, but is developed to be used with Brother and Silver reed non-electronic knitting machines. A variant for Superba, Singer, White and Phildar models is also available. 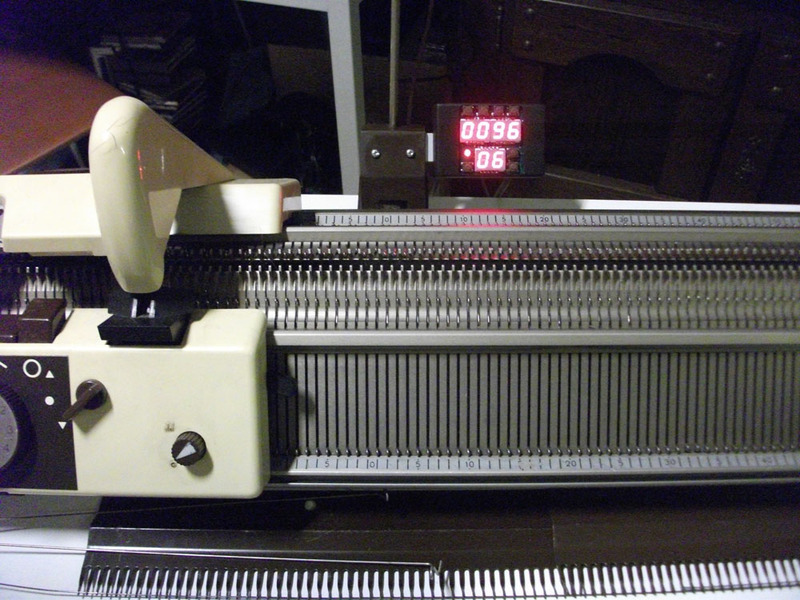 The difference is the way the counter is attached to the knitting machine.